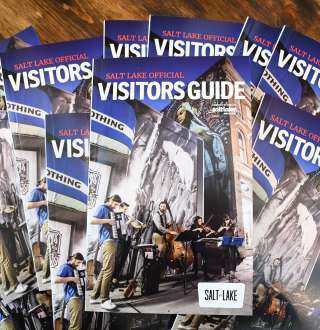 To request your free copy of the Salt Lake Visitors Guide please fill out the form below and allow 3-4 weeks for delivery. If you'll be visiting sooner, please explore the information available on this website and pick up your free Visitors Guide upon arrival or view our Visitors Guide online. Visitor Information Centers are conveniently located in downtown Salt Lake at the Salt Palace Convention Center. Looking for something with a little wider range? Check out the Utah Travel Planner online or request one. Get specialized information about access & travel across the state of Utah. Fill out the form below to request your FREE mailed Salt Lake information.